Greetings, lurkers of the dark alleys of the internet. 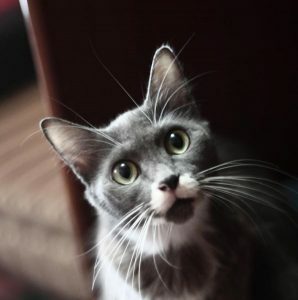 I am pleasantly surprised to welcome you here, after a long one and half month of inactivity. During March and first half of April, work had been very demanding. At one point, my supervisor actually said that we need to take a leave and basically get a life. So here I am, getting a life. A blogging life, that is. Being in a work-craze situation, I did not really have time to adhere to my usual multi-steps beauty routine. Aside from the essentials (simple cleanser, simple moisturizer, and sunscreen in the AM), I come to love a few products that are surprisingly good…at keeping me awake. 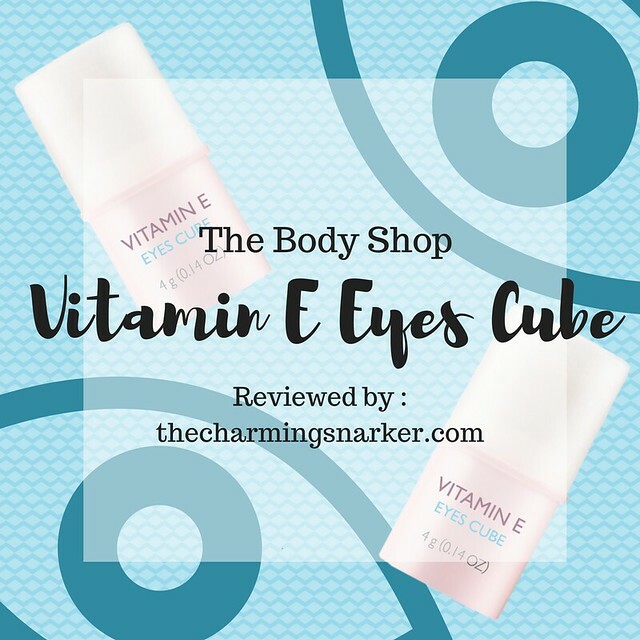 The Body Shop Vitamin E Eyes Cube is one of them. 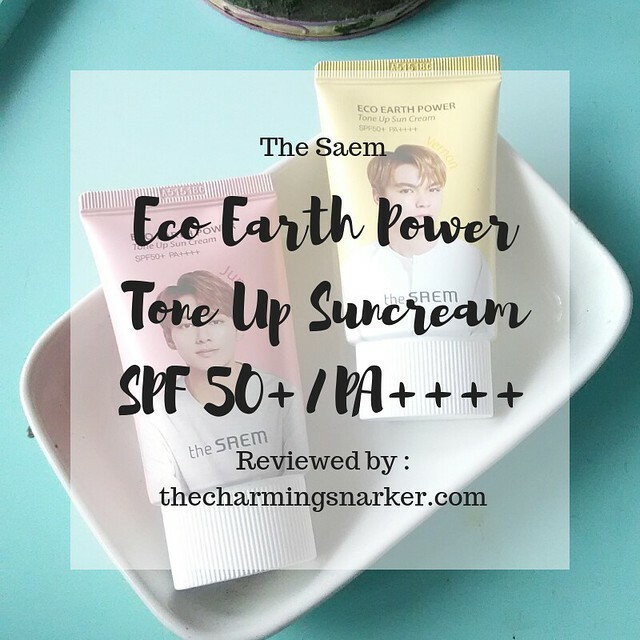 A bit of my personal history with The Body Shop Skincare Products. First thing first, I am a fan of The Body Shop. Their body products always succeed in making me stepping out of bathroom feeling pretty AF. Their home fragrances are tried, tested, and immensely loved. I also support their environment-friendly and women-empowering values. I personally thought their Bring Back Our Bottles program should be adopted by more brands, not so much because of the reward points we get for each, but because it helps in reducing waste. However, their (face) skincare products have been leaving me feeling meh. 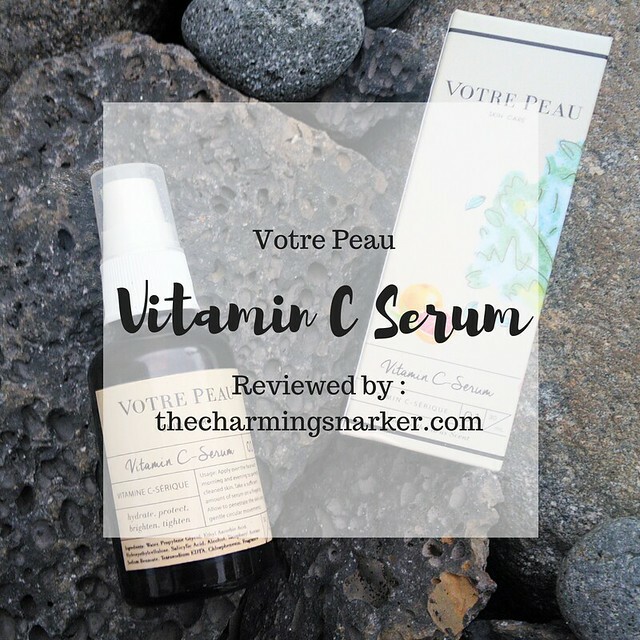 Their Vitamin C moisturizer broke me out horribly. I tried Moisture White Shiso line (except for the serum and the overpriced mask sheet) and my face turned into an oily mess. I finished them because they were pricey compared to my usual stuff and I suppose high price=better result after certain point, right? But nope, my face just produced more and more unnecessary oil. This might be a case of “it’s not you, it’s me” but it makes me a bit wary to try another skincare line from The Body Shop. This eyes cube, though, came into my possession as a birthday gift. I spent some days contemplating the meaning behind it (OMG I GOT AN EYE CREAM DO YOU MEAN MY WRINKLES ARE SHOWING?!?!?!?!) and another few days asking myself whether I should use it, considering my past history with TBS skincare products. In the end, I YOLO-ed and used it. It’s an Eyes Cube, leaving cooling sensation like putting Ice Cube on your undereye area . Eyes Cube, Ice Cube. Geddit? Geddit? There is another lid inside the cap to protect the product from dirts or drying out or something. My lid is well intact, and I am not interested to find out what would happen if it isn’t. The product itself is a (pretty!) pink moisture stick. 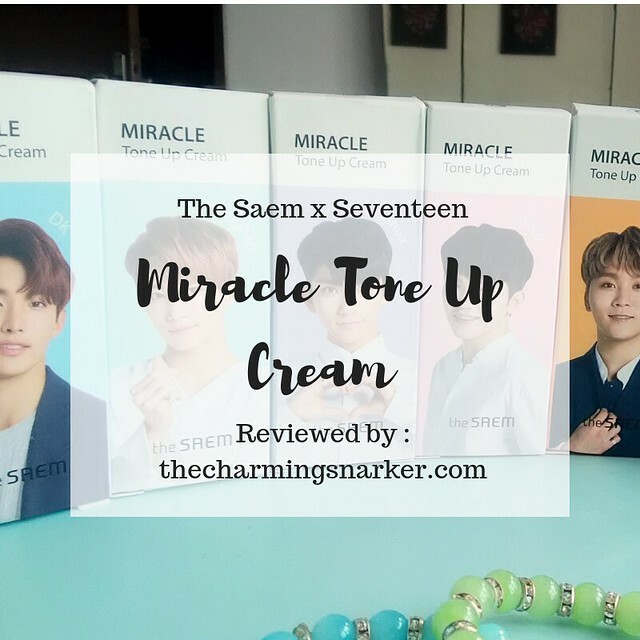 You have to twist the package to get the stick out, just like regular lipstick/lipbalm. True to its name, upon application, it leaves a thin layer of moisture with a cooling sensation. Nothing too extreme, just enough to make you feel like you are doing something to your puffy eyebags. It took a while to sink in; I could definitely feel the product was there for a few minutes (though it might be because I put more layer than normal people). It does not feel sticky although I have used it excessively. Ah, yes, ingredients. My favorite part of reviewing (usually). You can find the ingredients below, copy-pasted from The Body Shop website. As with other TBS skincare products (that I have tried, anyway), the ingredients are quite long and would not fit on the tiny packaging. You have to peel the label to view the complete ingredients. I’d rather not ruining my product packaging (and, potentially, my eyesight) by doing so. I have to say that I appreciate the way The Body Shop puts product ingredients on their website. The short description provided for all ingredients give us idea what these chemical-sounding stuffs are supposed to do in the product. It is certainly very helpful for layperson, and lazy bloggers like yours truly. And now, on to the ingredients. Mostly humectants on the first lists. That is okay for me, I kinda like humectants. The star ingredient Tocopheryl Acetate/Vitamin E is way below, even under phenoxyethanol (preservatives), indicating it is there in a tiny amount. I notice that this is a common case for TBS skincare products (Moisture White Shiso line, I am staring hard at you). I am not expecting anti-wrinkle or anti-dark circle effect from this product, and I think you should not, too, judging from the ingredient list. This eyes cube provides light moisturizing effect (to be expected, with all those humectants), and it worked decently against puffy eyes. I do not know if it is because of the beneficial effect of all the humectants or the application method; all I know is it prevented me from looking like a corpse bride during the worst part of my work-craze situation. The most enjoyable part of using this eyes cube is the cooling sensation. When I need to stay awake and work on stuff, I would just swipe this eyes cube several times, and the drowsiness would be gone-ish for another hour or so. That being said, I used it mostly at night, repeatedly. I cannot judge how it would perform under make up because ain’t nobody got time for make up when all deadline-hell were threatening to break loose. I would say that this eyes cube is a decent eye care product for the younger side of population, and those who desperately needs to stay awake. 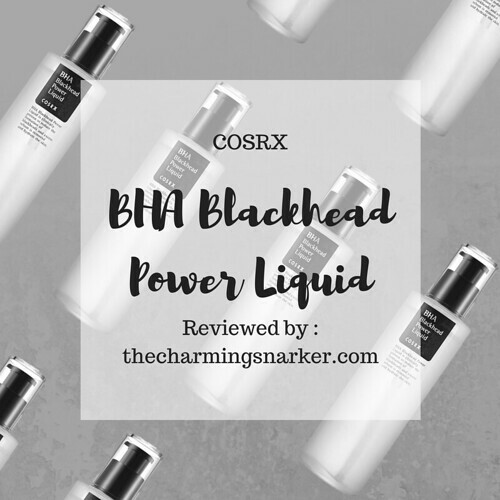 I would not recommend it for those with mature skin and more prominent wrinkles. If you firmly believe that the eye area has a more delicate skin and you need to light tap your eye products with ONLY ring finger to prevent exaggerating the wrinkle around your eyes, then you should just stay away from it. The usual swiping method might cause more tugging than desired for those who are used to more “serious” eye creams. I tried to light tap this on my under eye area, but it did not feel that enough amount of product had been applied on my skin.